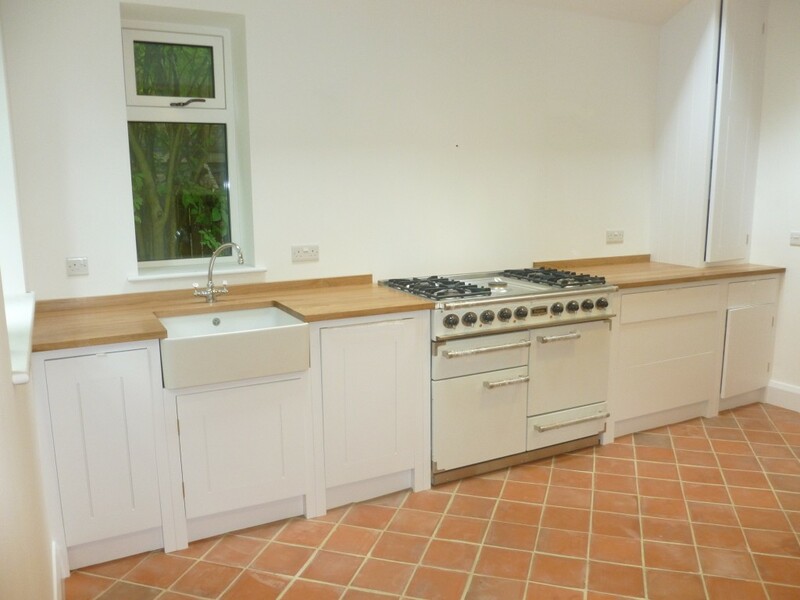 For this project the clients had bought a ‘British Standard’ kitchen and had delivered in box form ready to be fitted and tweaked on site by their joiner. 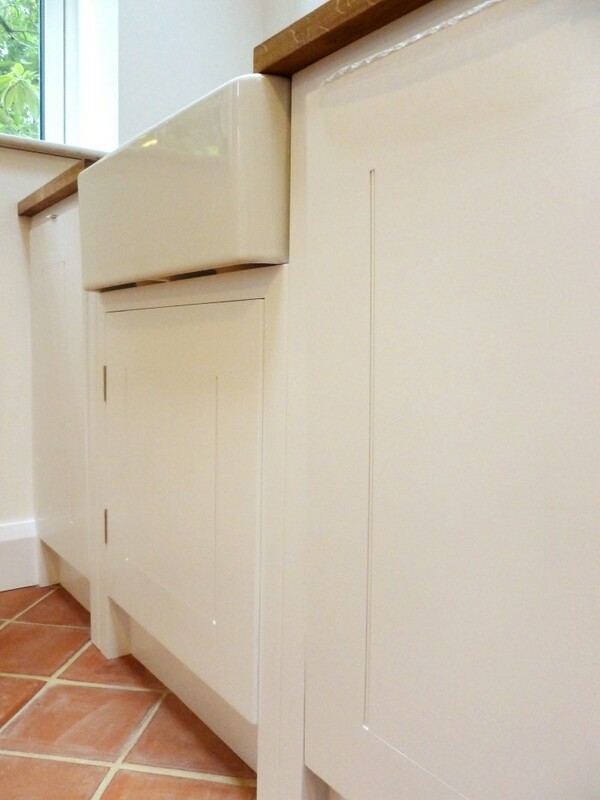 They wanted the units to be hand painted in brilliant white and for the finish to be top notch. Alongside the kitchen they also wanted me to paint the main door, the skirting boards (which were new pine) and 2 fitted cabinets that were original features of the house and were set into the walls on the opposite wall. With other painters unwilling to take on the responsibility of painting the kitchen they got in touch with me. ‘British Standard’ and ‘Plain English’ kitchens are beautifully designed and crafted and are a pleasure to paint, though uncompromising due to their simplicity. There is no margin for error if you want a top quality finish as any perfection stands out a mile away. After a consultation I emailed my quote and the clients replied saying they’d love me to the job. We arranged a starting date, talked over the finer logistics and I called a few days before i was to begin to touch base, arrange keys etc… then it was painting time! Once masked I thoroughly cleaning all the units with Krudcutter Original, followed by white spirit. Although the kitchen was new and had been boxed up it’s always best to clean even new units thoroughly to remove any chance of any dirt or grease spoiling the finish. Once cleaned I then lightly sanded every inch of the doors thoroughly to create the perfect key for painting. They had already had a coat of factory primer applied so I used 180 grit sandpaper to avoid scoring the doors in any way. The next stage is the all important priming. I used Otex by Tikkurila bought from Holman Paints. This is a brilliant product, lovely to use and creates a really good base for the top coats. Once primed I then filled any gaps or holes, gave it a light sand, hoovered again ready for the next stage. For this project I applied three coats of Dulux Brilliant White oil eggshell, lightly sanding between coats. The eggshell was applied using a mixture of brushes including Purdy Pro-Extra’s, a Wooster Flawless, acrylic artist brushes and a high density foam roller. 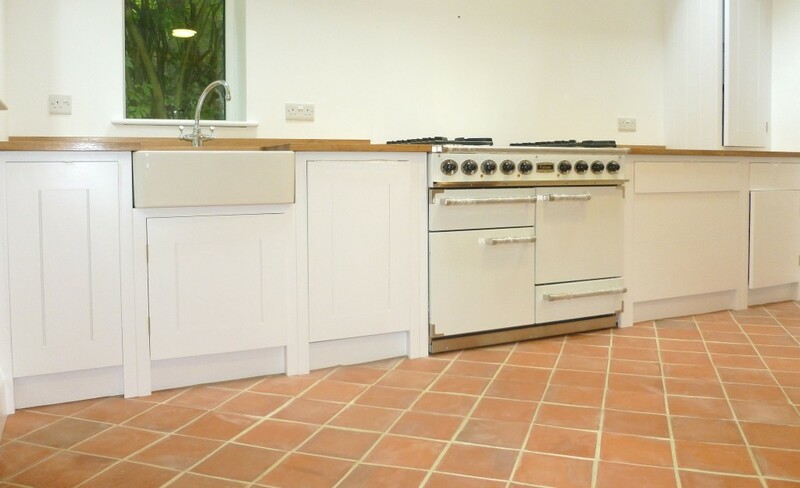 The clients were over the moon with the finish and extremely happy with their new bespoke ‘British Standard’ kitchen. 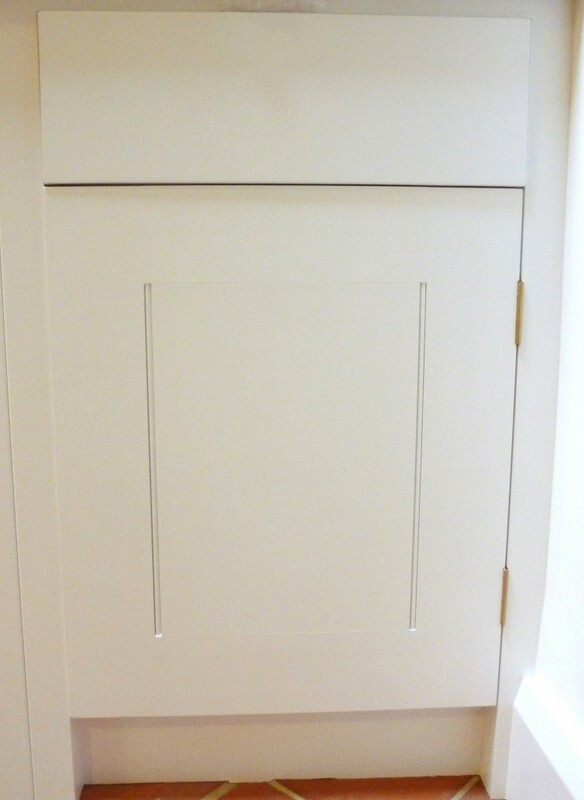 They were still undecided about the handles by the time I’d finished so I kept all the drawers and cupboards slightly ajar using bubble wrap, allowing easy access without the risk of damaging anything.